We’re delighted that our wedding flowers, arrangements and installations have featured in so many beautiful Yorkshire weddings and photoshoots. Have a look at a few of our select mentions online and in print. A bright pink tropical papakata sperry tent wedding with a neon sign and bridal separates. When the duo behind Jolly Awesome get married, you just know it’s going to be a day of pure fun. Matt and Katie clearly have creativity running through their veins and I’ve loved pouring over the details of their big day. Think palm prints, neon signs and bright pink peonies. With some extra special treats for people – if only every wedding guest in the world could receive one of Matt’s illustrations as a favour, there would be grins all round!. 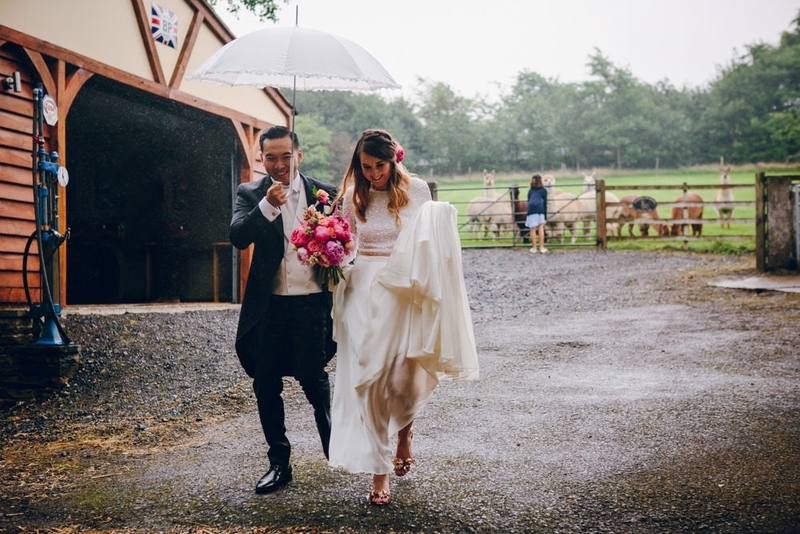 A wedding of vintage elegance at Denton Hall with a Justin Alexander dress. After the most romantic of proposals in Venice, it seems only fitting that today’s couple, Lucie and Harry, ended up tying the knot at another glamorous location – Denton Hall, overlooking the Yorkshire moors. Going for a Downton Abbey vibe, with a hint of 1920s Gatsby glamour – their big day is best described as the epitome of elegance and class. Relaxed and elegant: a 1920s inspired drop waist Charlie Brear gown for a magical autumn tipi wedding. Their ceremony (with dog Primrose as guest of honour) was held at St. Chad’s in Middlesmoor with their PapaKåta tipi reception following at The Sportsman’s Arms in Wath, North Yorkshire. Their photographer James of Flawless Photography has captured the day in all its splendour and I guarantee you will want to take a trip to beautiful North Yorkshire after seeing these images. Afternoon all! I hope Monday hasn’t been too terrible to you, I know that this inspiration shoot will definitely get your Pinterest juices flowing. All of the creatives involved in this shoot are Yorkshire based, I am constantly amazed by what wonderfully talented suppliers I have right on my doorstep. Nicola and her team did an incredible job at pulling together an empty brick barn in to a gorgeous creative space. We adored this incredible wintery shoot! 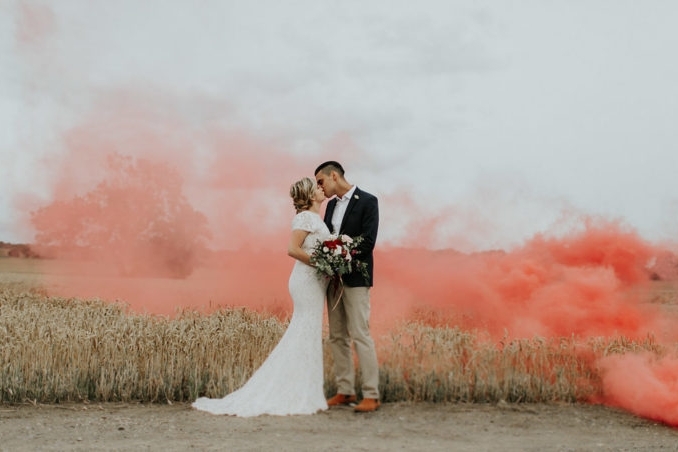 Organised by bespoke wedding planning company Bridal P.A., it proves that a soft colour scheme of peaches and pinks can work at any time of year. Metallic touches blend seamlessly with the venue’s opulent vibe. “Denton Hall is an exclusive setting, so I chose Yorkshire’s finest suppliers to fit in with its ethos” says organiser Michelle Hudson.